Overtweezing can leave your eyebrows looking unnaturally thin. Your eyebrows frame your face and define your look. Some people never groom and shape their eyebrows; others overdo it. Your natural eyebrow shape with slight grooming is your best option. However, if you feel you need a little extra help, mark the best arch placement and thin out brows from the bottom up. Trim long eyebrows if needed. 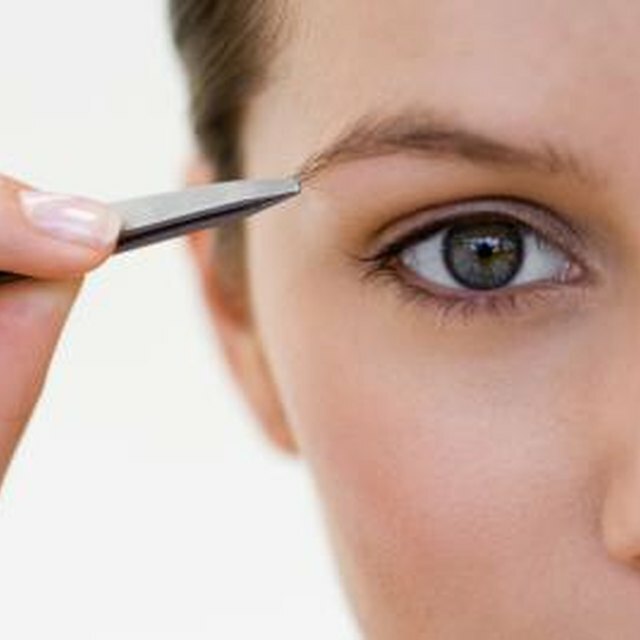 Brush your eyebrows upward, and trim any hairs that are uneven and long. Then brush downward, and do the same. Mark point A: Use a regular pencil and place it vertically next to your nose to line up approximately with the inner corner of your eye. With the white highlighter, mark right above your eyebrow where the pencil intersects your eyebrow. Mark point B with one of two methods. The first method is to line up a regular pencil vertically to the outside edge of your iris (the colored part), then mark with the white eyeliner where the pencil intersects your eyebrow. The second method is to place the regular pencil next to your nose, and turn it to an angle so that the edge of the pencil lines up with the edge of your pupil. Then mark the point where the pencil intersects your eyebrow. Point C: Place the regular pencil against your nose, and turn it on an angle so that the edge of the pencil lines up with the outer corner of your eye. Mark the point where the pencil intersects the eyebrow. Mark points A, B and C on your other eyebrow. Connect the dots on each eye. Pluck the hairs that are between Point A on both eyebrows (nobody likes a unibrow). Pluck stray hairs below your eyebrows. Then pluck hairs between points A and B, and B and C that are outside the line you drew to connect these points. Pluck any hairs that go beyond Point C. Contrary to popular belief, you are allowed to pluck above your eyebrows if you have too many stray hairs. Only pluck one hair at a time then step back to check your progress in the mirror. It's easy to pluck too many hairs when you are up close to a mirror. Follow your natural shape as much as possible. 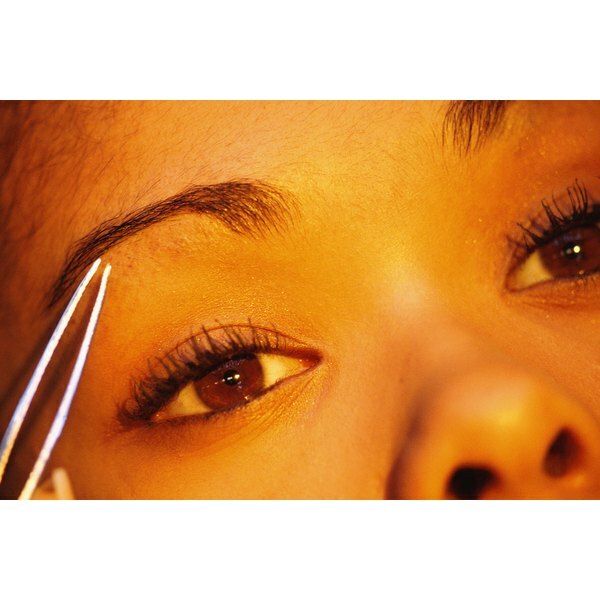 Eyebrow hairs take about six weeks to grow back. So if you make a mistake, you'll have to wait it out. Oprah.com: What Do Your Eyebrows Say About You?